A blend of 70% Nero di Troia and 30% other local varieties aged 14 months in 50% French oak barriques and 50% 30-hl French oak followed by 12 months maturation in bottle before release. 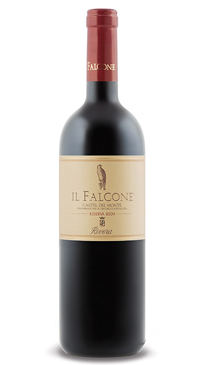 The wine offers a multi-layered bouquet of ripe wild red berry fruit, leather, pipe tobacco and spice. The palate is rich and structured with good length and balance.